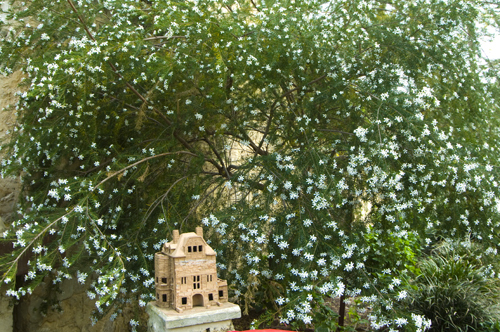 Fremantle ECOBURBIA will be showing TINY at REPLANTS on Wray Avenue on Friday, October 3. It is a doco about home, and how we find it. The film follows one couple’s attempt to build a “tiny house” from scratch, and profiles other families who have downsized their lives into homes smaller than the average parking space. Through homes stripped down to their essentials, the film raises questions about good design, the nature of home, and the changing American Dream. TINY is a coming-of-age story for a generation that is more connected, yet less tied-down than ever, and for a society redefining its priorities in the face of a changing financial and environmental climate. More than anything, TINY invites its viewers to dream big and imagine living small. Doors open at 6.30pm for dinner and conversation. The meal is BYO. The movie will start at 7.30 (or when it is dark enough!) so we can have some discussion afterwards. Why bother obeying rules and regulations when one is on holidays. No Fishing. Fish Sanctuary. Who cares. No worries. I know some people say that fish&chips is getting expensive, but hey…. Taken today in the Fremantle Fishing Boat Harbour. Well done, boys! Consider yourselves chastised. 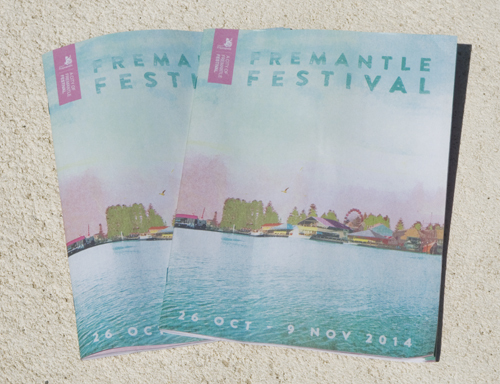 I am so disappointed with the cover of the Fremantle Festival 2014 program that I have to express my dismay about this bland, uninspiring promotion for our yearly festival. It would be easy to blame the designers for wanting to be arty and who forgot that programs are all about communication and promoting of events, but at the end the City of Fremantle festival and marketing people must have approved it. It’s a festival program not a funeral notice, for heaven’s sake! 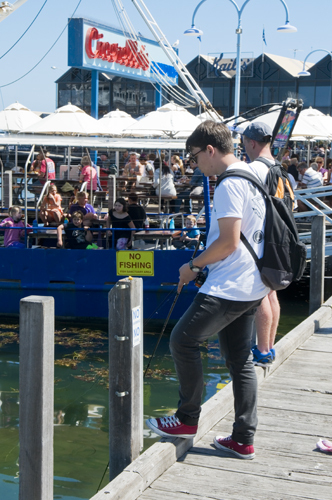 Whenever someone argues that we should promote Freo better as a tourist destination, we are told that we don’t want to be seen as just a sleepy harbour town, but that is exactly what the cover of the program conveys. It is a mediocre photo altered in Photoshop or so. It does not yell out, HEY! !, Vibrancy, Music, Theatre, Excitement, Entertainment! Come and Join the Fun! Instead it says come and meditate and relax in our little boring backwater. If I picked up the programs somewhere as a visitor to Fremantle, I would not bother to find out what the Fremantle Festival is all about. Good covers sell bad books, so why have a bad cover trying to sell a great festival? It is not helped either that the bad quality recycled paper does soak up the colours and the overall quality looks cheap and poor. Let’s just hope that despite the mediocre front cover many people will flock to the many great events, because the program is filled with good stuff! The FREMANTLE CHAMBER ORCHESTRA will present Beethoven’s legendary violin concerto-Arriaga: Symphony in D- one of the greatest works of this genre. Soloist is the fantastic violinist Shaun Lee-Chen. The rarely heard but charming Symphony (also) in D by the Spanish Mozart “Juan Crisóstomo de Arriaga” complements the Beethoven perfectly. Christopher van Tuinen will be conducting. Sunday 5 October, Fremantle Town Hall @ 3pm. I wonder if the RESTRICTED ACCESS to the Fremantle Army Museum is an overreaction to the terrorism paranoia that is destroying Australia like an out of control bushfire. How are international visitors going to make “prior appointments” to visit a museum. Where else on earth is that required?! What is “legitimate museum business” for heaven’s sake and how is a Japanese visitor going to explain what his/her legitimate business is to those who don’t speak Japanese? Do they really believe anyone would want to blow up a whole lot of old military stuff? 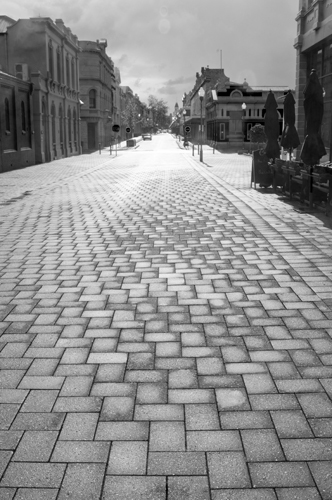 To show the dedicated followers of this blog that I am not slacking off during the long weekend, here some photos of a part of Cockburn that hopefully soon will be part of the City of Fremantle, after local government amalgamations. I walked from South Beach to the former South Fremantle Power Station and took some photos of the art at the former Robb Jetty at C.Y.O’Connor Beach. BUT IS IT PRINT MAKING? The Fremantle Print Awards at the Fremantle Arts Centre are as always a mixed-bag. There are a lot of very good and some outstanding prints, but also some average ones. There is also the need to tighten the rules I believe. Are 3D objects just because they were printed by a 3D printer, really prints that should be in a print award? I don’t think so, but if, then they should be in a separate category. I also question the printmaking craft greatness of altering old record covers in Photoshop. It might be conceptually clever, but does not really require good printmaking skills. 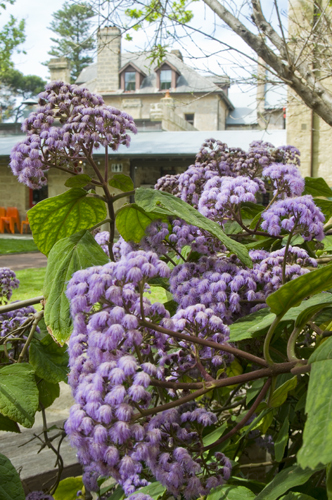 As always though the majority of the works are well worth going to the arts centre for, and the courtyard looks great with lovely flowers, so go and spend some time there and enjoy a meal or coffee at the cute cafe. One of the reasons I started this Freo’s View blog four years ago was to provide a forum for the community to debate all things that matter to Fremantle. I was expecting that there would be people who’d criticise my articles, and fair enough, what I write only represents my personal views, preferences and taste, and other people have different views, likes and dislikes. But to receive comments that I am uninformed-even ignorant-and that I an “reactionary idiot” is quite funny because I do more to pro-actively inform myself than most Fremantle people. Not only do I attend as many Council and planning committee meetings as I can, I also try to be at most planning information sessions about new development and attend most community workshops on just about everything. I also constantly look on the internet at city planning from around the globe to see what the new trends are. Those who claim I am against development, or against “outsiders” developing in Fremantle, quite clearly do not know what they are talking about and have not read my many articles in support of development, so let me spell it out once again. I don’t like the Hilton Hotel development at Point/Adelaide streets because I find the design boring and mediocre. I do like the saw-tooth roof building planned for the Spicers site and I believe the design of the Queensgate building is acceptable, while the plans for the MYER redevelopment could have been more daring. The Civic Centre building design for Kings Square by Kerry Hill architects has a bit of class and is appropriate, but it failed to be iconic and that is disappointing. The Atwell Arcade development is also disappointing, but at least the heritage aspect of the mall as a thoroughfare will be retained and that is important, but the exterior should have been so much better. The same applies to the short-term accommodation on the corner of Pakenham and Short street. Yes, the heritage character of the interior is respected but the exterior is really a slap in the face for the West End heritage precinct. The development on the corner of Banister and Pakenham is also a pretty bland box of nothingness. I do like the Cliff Street development by architect Murray Slavin. This will be an inconic modern building that compliments the heritage buildings next to it. Let me make a few more points; I am not a NIMBY, as none of the planned development is anywhere near my backyard in White Gum Valley. Contrary to those who propose inappropriate development in Fremantle I am not commenting because of personal financial gain, but solely because of my love for Fremantle. Contrary to others I do not believe that any change and transformation is good for Fremantle. Change just for the sake of change is not progress and mediocre new buildings will in the long run be a negative for our city. I am also a big believer in integrated planning, instead of stand-alone development, and I would like to see a higher emphasis on residential CBD development and not mainly commercial and retail. Disagree with me as much as you like, but at least inform yourself and attend Council and information meetings, as I do. I spend many hours a week trying to help make Fremantle a better place, without any financial benefits for myself. I promote events, festivals, businesses, art exhibitions, etc. on this blog and support Freo as a destination by publishing stunning photos of the city. I have a real passion for Fremantle and I do not apologise for that. I will continue to support great modern development and criticise bland mediocrity, no matter how many people attack me. 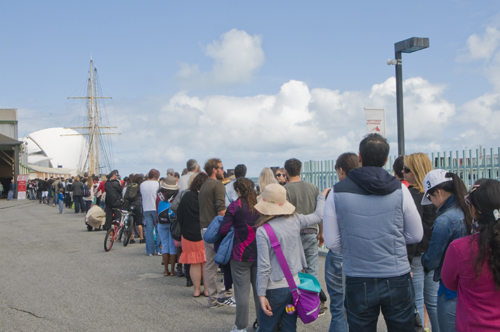 It looks like that despite the wet weather the Rottnest Island Carnivale is a big success, if the big crowd queueing up at the Rottnest Express ferry this morning is anything to go by. 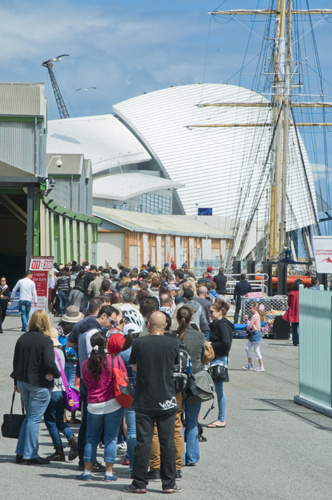 A packed-full ferry had just left as I photographed all these people lining up along Fremantle’s Victoria Quay. Rottnest Express has a $ 25 day ticket special on, so that would have helped to attract the large numbers. HAVE A GREAT FREO SUNDAY! Good morning, Fremantle! It’s another wet day, so enjoy your Sunday going to art exhibitions, like the print awards at the Fremantle Arts Centre. Cafes, restaurants and shops are open in Freo today, so have a long lunch with good friends, buy some summer clothes, and support our local businesses who are doing it tough. Venture out to the west along gorgeous High Street and find some hidden gems there. There are some cute shops along that street. Comments Off on HAVE A GREAT FREO SUNDAY!